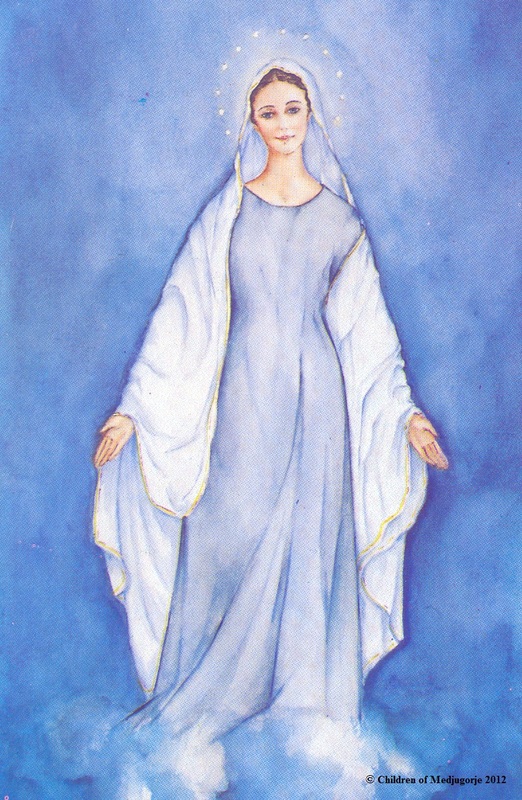 Dear Children of Medjugorje, praise be to Jesus and Mary! “Stay away!” Seeing my surprise he said it again: “Do not come any closer, I’m a bad person.” Then he showed me a tattoo of Satan on his back. ‘Can I kiss you?’ I asked. I don’t know why I said that, because I didn’t feel comfortable withit, but I kissed him anyway. Then we talked for a long time about the love of God. 4. Pentecost on the world on May 20! How can we not suffer at the sight of how the spirit of evil is at work in the world! It would be a trap to draw up the impressive list of Satan’s actions in different parts of society. It would only serve to make him proud of being so successful! On the contrary, like the little Maryam of Bethlehem, we will hunker down and pray even more, and vehemently call upon the Holy Spirit! Not only to be able to keep our head above water, but to walk with confidence on this path of holiness that our Blessed Mother has been showing us for nearly 37 years. Venerable Marthe Robin (1902-1981), the French mystic who for 50 years experienced the Passion of Christ every week, prophesied a “New Pentecost of Love” for the world. To see it to fruition, the Holy Spirit is looking for volunteers in order to reduce the time when Satan thinks he can get away with anything, causing terrible suffering those we love. We have the power to do this! Dearest Gospa, please, pray for us more than ever! Attract in us the Holy Spirit who fills us up to the brim! Evil is surrounds us on every side, but you are here next to us… This is the time of the perseverance of the Saints (Revelation 14:12). Take us under your motherly mantle, for with you we are secure! PS 1. Come Holy Spirit, fill the hearts of your faithful and kindle in them the fire of your love. Send forth your Spirit and they shall be created. And You shall renew the face of the earth. The Second Printing is Here! Order Today! Please continue to pray very much for these missions, and those in these countries who are thirsty for Our Lady’s guidance to her Son. PS 5. The parish of Medjugorje is inviting us to the 6th InternationalSpiritual Retreat for Life, from 9 to 12 May 2018. The 19th Spiritual Retreat for married couples, from 7 to 10 Nov. The23rd International Retreat for priests from 2 to 7 July. Sign up at: seminar.marija@medjugorje.hr (Marija Dugandzic). The Youth Festival will be held from August 1 to 6, please sign up with your local organizations.